Grow your lashes, fight the signs of aging or just perk up your skin with all-natural products! It’s your lashes – only better! 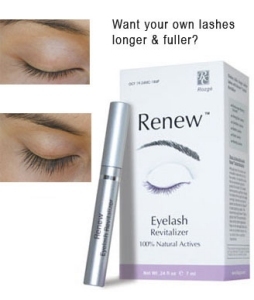 Renew Eyelash Revitalizer is the first to use all-natural ingredients such as Apigenen and Oleanolic acid to grow lashes to a healthier and fuller state in only 4-6 weeks. CosmeticGarments.com, $80. 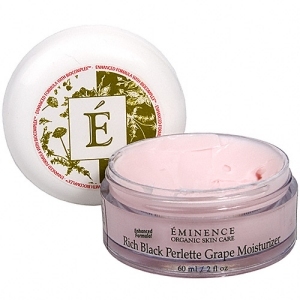 Fight wrinkles and liven up tired skin with Black Perlette Grape Moisturizer. It contains Grape Peel to combat free radicals, Calendula Oil to heal and calm the skin as well as Vitamins A, C and E. DermaStore.com, Price available upon request. 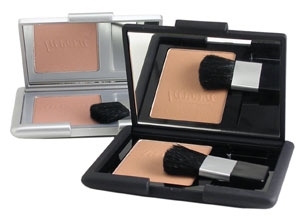 It’s every makeup artist’s secret weapon – blush! Lavera Rouge wakes up tired skin and contains Organic Jojoba and Calendula oils to nourish and soften skin while natural minerals combat UV rays. SkinVibrance.com, $24.